A former Army officer turned MP has said the no death in training "is acceptable" after a Catterick soldier died on exercise on the hottest day of the year. 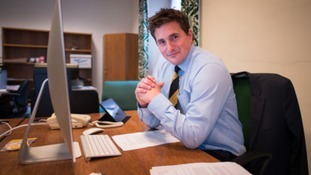 Plymouth MP Johnny Mercer said the Defence Committee would look into the death of the soldier, which comes three months after it published a report calling for the MoD to be liable for prosecution for the deaths of armed forces personnel during training. The soldier, based at the Infantry Training Centre in Catterick, North Yorkshire, was on pre-course training for the Platoon Sergeants' Battle Course, which is described as "both mentally and physically demanding". Mr Mercer said: "No death in training is acceptable. "The details of this incident are unclear, but given our recent (Defence Select Committee) inquiry into deaths in training, we will of course be looking closely at the circumstances surrounding this tragedy."